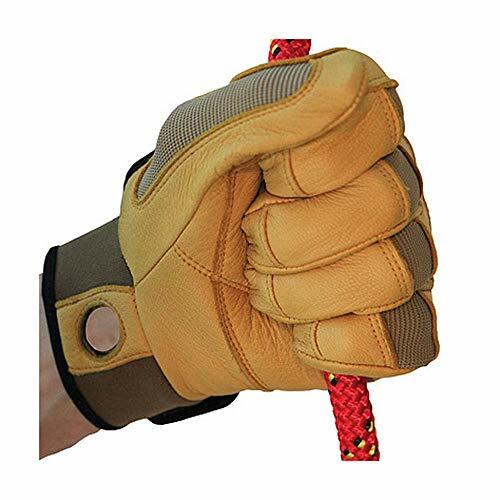 These medium weight belay/rappel gloves offer extra protection without sacrificing dexterity. 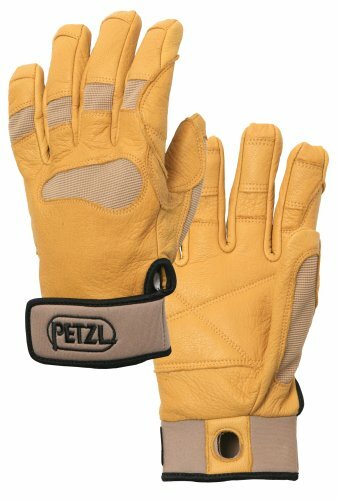 Double-layer leather and padding protect the palm from heat generated during long rappels or lowers. 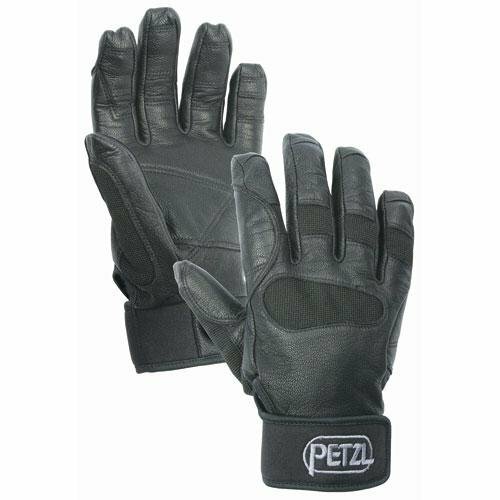 Fingertips and other high-wear areas are reinforced for increased durability. The back is made of leather with abrasion-resistant stretch nylon at key flex areas. The low profile neoprene cuff with Velcro closure features a reinforced carabiner hole for attaching the gloves to your harness.